The idea of being invited to someone's home to share a meal and enjoy warm fellowship invokes such a sense of gratitude in me, that I never like to arrive empty handed. I love to bear gifts that are not only individualized and thoughtful, but practical, enjoyable and fun. These are a few items that I love to bring to a great host, and that I too, love to receive or already own. 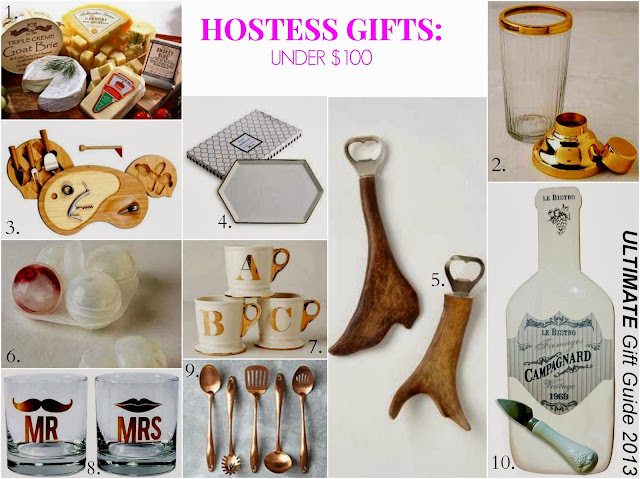 What do you like to bring as a hostess gift?